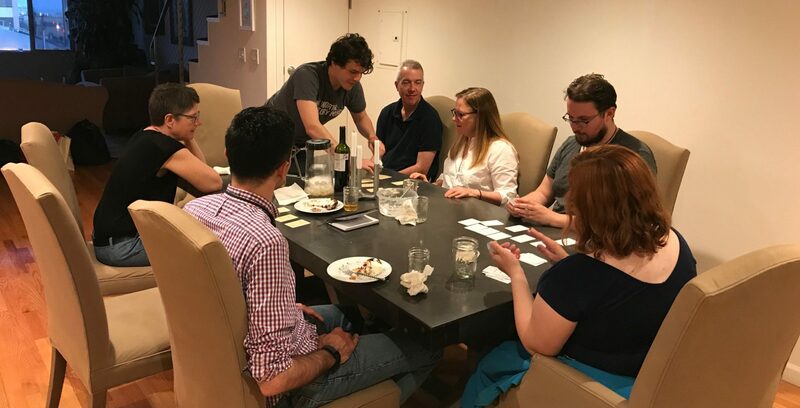 Agile Potluck™ – Let's Wine, Dine, and Talk Agile! Let's Wine, Dine, and Talk Agile! Calling all Agilists… new and experienced! Whether you call it Lean, Agile, Scrum, XP, Kanban, Scrumban, or any number of other names, many of us have discovered a new way of developing software (and other valuable endeavors) that can dramatically improve our productivity and joy at work. We believe in the empowerment that can be achieved for individuals within companies that have Agile cultures, team structures, tools and processes. We started in San Francisco, CA in July of 2014. After over 3 dozen highly successful meetups, we are now opening up Agile Potlucks™ so that they can be hosted by everyone. We welcome everyone who has an interest in improving the productivity and well-being of their teams, regardless of industry. There are several experienced Agile coaches in our ranks. Whether you are a startup founder or a seasoned enterprise executive, a member of a long-running Scrum team or learning about Agile for the first time, we would be very glad to have you join us. Why a potluck? Why not something “easier” to attend like Lean Coffee? Because attending Lean Coffee is too “easy.” You can forge a deeper connection with someone when you’ve invested more in meeting them (just ask anyone who goes to Burning Man…). Whose crazy idea is this? The Agile Potluck™ was invented by Chris Gagné, an Agile Coach in San Francisco who helps everyone from startups to Fortune 100 companies create a more productive and joyful environment. Agile is his spiritual practice manifested at work. Through the gracious participation of gracious co-hosts and dozens of attendees, the potlucks keep getting better! The Agile Potluck started in San Francisco and you’re welcome to join us whenever you like! You can find out more about the San Francisco Bay Area Agile Potluck Series on our Meetup page. After over three years and over two dozen highly successful potlucks, we opened up the Bay Area Agile Potluck Series to four new hosts. They have all been wonderful participants of our potlucks in the past and know the spirit of it. Of course–as with all things Agile–they will inspect and adapt for their particular context. Please give a warm, inviting welcome to Dahm, Katherine, Michael and Tushar! Start your own Agile Potluck™! Consider starting a group on Meetup.com, like ours: The Bay Area Agile Potluck™ Series. This makes it much easier to promote your potluck. Ask your participants to provide their LinkedIn profile URL, company, title, and a brief introduction when they join the group so that others can get to know them better. Be prepared to remove folks from the group if they habitually cancel late. Ask your participants to help spread the word. Actually host a potluck in which individuals bring dishes to share, network, and discuss Agile principles over a delicious meal together. 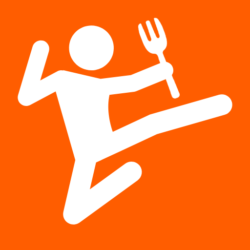 Provide a link to AgilePotluck.com to help spread the word. Don’t charge anyone to attend or for food unless your space requires it (and then only at cost). Don’t use the potluck for commercial purposes. Companies are welcome to sponsor their own Agile Potlucks™—even at their offices—just please don’t try to recruit, sell your product, or otherwise hype your company. This is a user group, not a marketing ploy. We welcome anyone and everyone to start an Agile Potluck™ anywhere in the world. Please reach out to us below to tell us about your potluck and we’ll add it to our site!